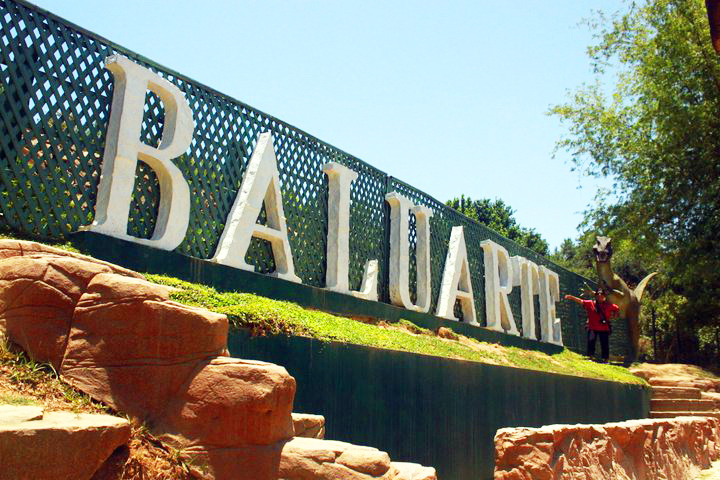 Our first stop on our Vigan Tour was the BALUARTE, a 10 minute drive from the city of Vigan which is 408km from Northern Manila. This 80 hectares of land is owned by Governor Chavit Singson which use to be a rest house where the governor would bring his family and friends and enjoy the company of domesticated animals like monkeys, chicken, monitor lizards, birds and a lot more. Then he reconstructed it to a zoo, shared this to more people by opening it to the public for free admission. It is open daily from 7am to 6pm. You would be greeted at the entrance which is what they call the Petting zoo where you can interact with the animals. Take pictures with the gorgeous colorful birds and ride the Tiburin which is a small carriage that is being pulled by miniature horses. Absolutely free! Though we gave tips to the caballero, a spanish term for the horseman. Get up-close with the camel and ostrich like an arm away only but of course, we did not reach out our arms to them. 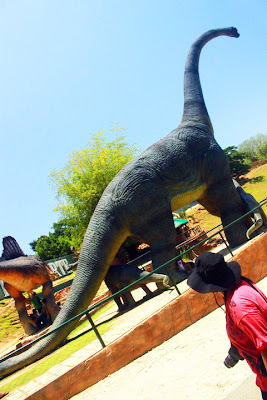 You'll see life size dinosaurs which is fun for picture taking. We went up the hill to see the lions but they were asleep inside their den so we didn't see them. They have a huge space so they are not too limited to roam around. Though I felt bad for the tigers who are super huge and they are in small cages. They were deers and more animals. Some are just walking around freely. They also have a butterfly garden and live animal show which we did not get to see because they did not have any schedule that day. This is a nice place to take the kids around. If you're coming from Manila and would want to commute to go here, I suggest that you take the Partas Bus. They have regular buses and special ones too that has only 3 spacious and reclining chairs in a row. It might take you 9 hours to get here and I strongly recommend you do a night trip as it takes longer in the day where there are traffics as the route will pass on the towns of each province. You can also go by air via Laoag International Airport. Who knew they would be friends!